In the time before time, there was nothing. Not a thing! Who knows how it happened, and whether it was caused by a spark or a shudder or a breath of wind. But suddenly the moon rose, the sun shone, and Earth Mother and Sky Father were revealed. The attraction between Earth Mother and Sky Father was magnetic. Nothing else existed before them. They fell into an embrace that was so close and went on for so long that they had seventy sons. They continued to lay in an embrace so close that their children, those boy-gods, dwelt in darkness. They had no room to move or play or grow. The boy-gods felt suffocated without space and light. They whispered and complained; they plotted and planned. But sixty-nine brothers shouted, “No!” and continued to plot and plan. Sixty-eight brothers shouted, “Yes!” The god of storms raged in disagreement, but the others ignored him and proceeded with the plan. The god of edible plants pushed up against the Sky Father with all his might. He could not budge Sky Father. The god of women and men tried and failed. The god of fish and reptiles was unsuccessful. Tane lay down on the earth. He braced himself against Earth Mother and gathered her strength into his shoulders. He lifted his legs and pressed them against Sky Father. He pushed! Tane pushed and pushed with all his might, until suddenly, there was a groan and then a snap! Tane had separated his parents. Tane and sixty-eight brothers rejoiced. They leapt and celebrated the newfound space and light all around them. Sky Father floated high above his wife and was full of sorrow. He cried and continued to cry tears of rain, which made her more beautiful than ever. Earth Mother responded by sending mist skyward. Meanwhile, the gods busied themselves with their work of creating the world. Each god did as he was called to do. Tane decorated his mother with trees and plants of all shapes and sizes. He searched out sparks of light and threw them into the heavens to decorate his father with stars. The gods of storms joined his father in upper realms and lives there still. As you well know, he continues to rage—that’s how it is with some people. His rages undo some off their work, but Tane and the other gods go on creating and tending to Earth Mother and all that dwells there. Or the exquisite delicate thin curve of the new moon in the spring. These with the rest, one and all, are to me miracles. Every foot of the interior [of the earth] swarms with miracles. The story and the meditation reflect two aspects of nature. 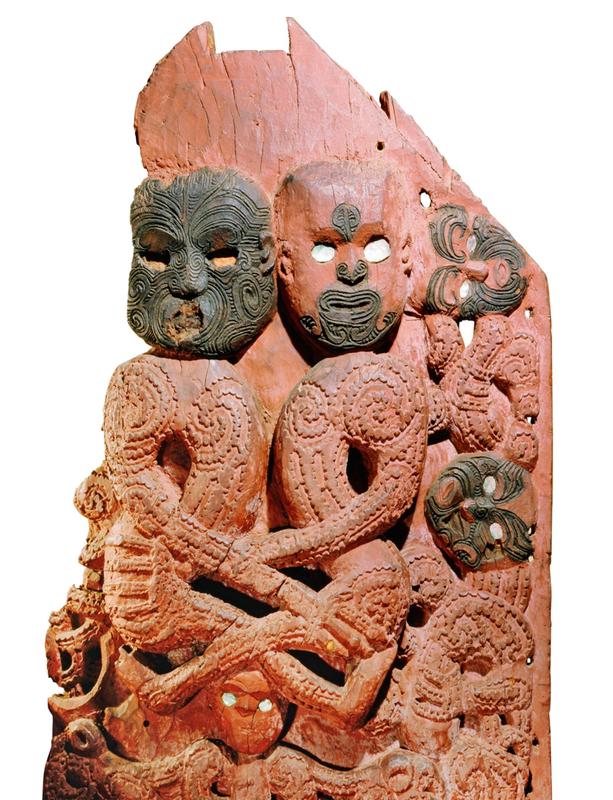 The story is the origin myth from the Māori, the indigenous Polynesian people of New Zealand. Origin myths in religion and culture attribute natural phenomena, the weather, the stars and the moon, the fish of the sea, the birds of the forest, and the forests themselves with gods, goddesses and supernatural phenomena. Many people, some who are members of this church, hold beliefs about nature that include a sense of divinity or the sacred. I consider myself a Panentheist—holding a belief that the divine pervades and penetrates every part of the universe. I also embrace the understanding of nature that is reflected in the meditation. A sense that what I experience in nature is miraculous, not in a sense that a god or goddess created it, but in the sense that so many amazing things occur in the natural world that I am held in awe when I take the time to attend to them—whether it be a sunset, a seed opening up into a plant, a butterfly emerging from a cocoon. Whatever your theology--belief in something supernatural or the innate miraculousness of the natural world—whatever your language of reverence, nature has many opportunities to foster and enrich our spiritual lives. When I was in my senior year of High School, my friends and I went to Big Bend National Park on Spring Break. There are certainly many stories from that trip, but one that I want to share with you. Our first night in the park, we hiked to the top of Mt. 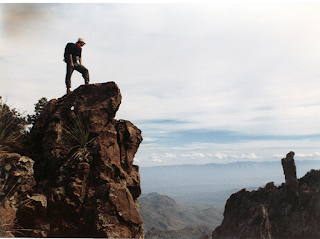 Emory, the highest peak in the Chisos Mountains. We sat atop the peak and watched the sunset, then camped out for the night just below the peak. The next morning, my friends and I decided that we could cut across the park and save a good 5 miles of hiking, on our way to Boot Canyon. This picture is not from our trip, but you now see what we saw looking toward Boot Rock from Mount Emory. Boot Canyon is one of the lushest and greenest parts of Big Bend. Hiking off trail to shorten our route really seemed like a great idea at the time. All we had to do was scale a sheer cliff that was about 50 yards straight down, which ended not in a flat surface, but angled out into a steep decline down to the base of the mountain an additional 300 plus yards down. And the decline was densely populated with various types of cacti. But we would be saving 5 miles from our hike! I was little concerned, but you know we were young and full of testosterone. None of us wanted to say we couldn’t make the climb. One of my friends, Patrick O’Malley, was the first to make the descent. We lowered all the backpacks down to him. I think he went first because his backpack was filled with canned peaches. It was outrageously heavy, and while he strained under the weight as we hiked, he was the only one who wasn’t eating freeze dried beef stew at night. One by one my friends made it down the cliff, until there were just me and Richard Smith. I decided I would probably be safer if I had someone up top and someone below me when I made my way down the cliff. Just to complete the picture: we decided we didn’t need ropes to climb down, we all wore brand new leather hiking boots, and we had no gloves or any other kind of gear to make this climb. Like I said young and full of testosterone. So over the lip of the cliff I went. As I began, I found a few openings for my hands and feet. I was scared, but gradually making my way. About a third of the way down, I couldn’t find any hand-holds or foot-holds. I was stuck. For a moment I was paralyzed, deathly afraid I would fall, and feeling tired and acutely aware of the strain on my fingers, hands, and legs. I remember saying something to my friends about not being sure I could make it. They called up and down to me to reassure me. I took a deep breath and closed my eyes for a moment, centering myself. Then I brought my attention to my hands. I focused on the sensation of my fingers holding onto the rock. There was nothing else but my hands, and fingers, and the cliff face. I moved my right hand slowly to the right, sensing, not seeing, the outcroppings and indentions in the cliff. Eventually I found a new hand hold, a rock solidly sticking out of the cliff. I grabbed it firmly and then adjusted my body. I did this again and again, one hand and one foot at a time, only focusing on the sensation from my hands and feet. My sense of time faded. Even my progress faded. My world was my hands, feet, and the cliff face. When I finally reached the bottom, I was surprised, as if coming out of a trance. I was elated to have made it down the cliff face. Then I slipped on some rocks, my bottom landing hard on a cactus with very long spines. I tell you this story because one of the spiritual gifts of nature is mindfulness. In my story mindfulness—the meditative technique that combines relaxation with acute alertness and/or extreme attentiveness-- mindfulness was discovered in the taking of a risk that required a focus and intense awareness that most of us don’t cultivate in our daily lives. You don’t have to be climbing down a cliff to practice mindfulness outside in nature. 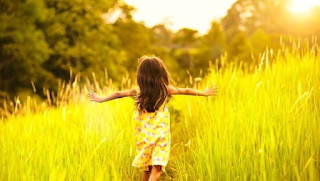 Being outside, in nature, elicits mindfulness in many of us. When I go home from work on a normal evening. I get in your car, drive home, open the garage with the remote, park the car, and go inside. Most times, I don’t take time to look up at the stars, to notice the moon, to feel the breeze brushing against my cheek, or hear the rustle of the leaves in the trees. But when we intentionally go out in nature, walk a trail or camp in a park, we slow down, we look around, we appreciate those things that are around us every day. You notice things around you with that combination of relaxation and alertness or attentiveness, the mindfulness that being in nature seems to elicit. You feel like you could look up at the moon or gaze up at the stars for hours. You stop, slow down and really notice the beauty and detail of a single flower. We can cultivate mindfulness through meditation, but nature provides additional opportunities for mindfulness that are spontaneous and, because they are spontaneous, can be just as impactful. Martha, my lovely wife, sometimes reminds me to be mindful as we walk in nature. I am all about the exercise. She is all about the experience. Exercise for me is about my physical and mental health, and I see it as a must in my daily routine. I can be so driven by this that even my natural instincts to stop, relax and be alert in nature can be suppressed. Martha is all about the side trails. She sees little trails and is happy to wonder far away from the paved or limestone roads. She can be so focused on the experience that she never notices I have marched on ahead without her. I can be so focused on marching ahead that I never notice she has gone rogue. Thank goodness for cell phones. Unitarian and Transcendentalist Ralph Waldo Emerson wrote in his essay Nature: “Standing on the bare ground—my head bathed by blithe air, and uplifted into infinite space—all egoism vanishes. 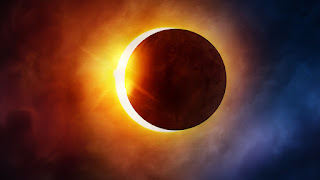 I become a transparent eyeball; I am nothing; the currents of the Universal Being circulate through me; I am part or particle of God.” Experiences in nature provide us with opportunities to sense or feel our unity with the universe, with god or goddess, with humanity. We are able to set aside our own ego, our own personal desires and priorities, and realize or remember that we are part of all that exists. Nature can offer us this. That is one long article. I believe in the power of meditation so I could relate to your article well enough. A very thought-provoking article.